The moment U.K.’s Prince Harry and hit show “Suits” former star Meghan Markle’s engagement was announced, it was clear their wedding would be entirely different from past U.K. royal weddings. Needless to say, history was made during their nuptials on Saturday — and not just because there’s a new Her Royal Highness roaming the halls of a historic palace in Central London. The newly-titled Duke and Duchess of Sussex decided to take the bull by the horns and orchestrated the most modern, racially diverse ceremony to ever grace the British monarchy. From the get-go, Meghan and Prince Harry tying the knot made history, with the Duchess becoming another mixed race woman to officially become part of the royal family (unknown to many, England’s first black Queen in 1761 was Princess Sophie Charlotte). In a fairy tale romance, Prince Harry fell in love with a former American actress who was previously married and happens to be three years older, and historically, tradition would have possibly never entertained the idea of their union. However, today the House of Windsor is progressing before our eyes — a pleasant insight into the evolved royal mindset. This move has challenged centuries-old tradition making room for positive change, embracing diversity and honouring the royal (and human) right to choose a significant other, regardless of marital background and colour. The Duchess also fully embraced her African-American roots during the regal ceremony. For many around the world, it was elements of gospel music and a variety of guests — Hollywood stars and chosen members of the public — which made the wedding more inclusive and contemporary. An outspoken women’s rights advocate, Meghan Markle became the only royal bride in England to have walked unaccompanied for a significant chunk of her bridal procession, actively choosing to walk down the aisle on her own until Prince Charles, her father-in-law, continued to walk her towards her own Prince Charming. The first black presiding bishop of the Episcopal church in the U.S., Reverand Michael Curry, was one of the biggest highlights from the Royal Wedding as he stole the limelight with his outspoken sermon. 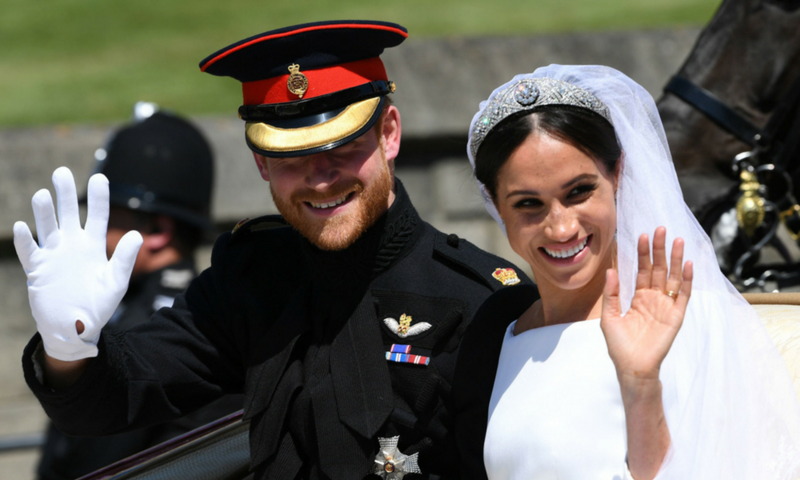 His passionate address made everyone smile, and his message of love — which tied in Martin Luther King, slaves of the antebellum South, and the elimination of poverty, was a momentous exit from what the royal family are accustomed to. Renditions of “This Little Light of Mine” and Ben E. King’s “Stand by Me” also rang out in St George’s Chapel in Windsor, delivered by Karen Gibson and The Kingdom Choir. Cellist Sheku Kanneh-Mason beautifully brought the hour-long ceremony to a close as he played “Ave Maria” to 600 of the couple’s friends and family. The Royal Wedding celebrity guest list was also filled with black excellence. Household Hollywood names such as Oprah Winfrey flew across the pond to celebrate with the newly-weds, looking her usually graceful self in pastel pink. Other famous names included Idris Elba, “Suits” co-star Gina Torres, tennis ace Serena Williams and Bollywood superstar Priyanka Chopra. The Duchess of Sussex is also the last significant part of millennial royals — with the newly-wed couple on a special quest to make the Commonwealth more relevant and 21st century-cool. As the Queen recognises and publicly acknowledges time and again, the British monarchy is sustainable only with the support of its people. After all, even the most traditionally minded no longer advocate the holy right of kings, as they did for Charles I. And the Duke and Duchess of Sussex’s Royal Wedding was the perfect example for that. Desk bound by day and travel bound all other times – Queenie thrives on her weekly dose of biryani and chilli paneer. She recently released her first book called The Poor Londoner, which talks about comical expat experiences people face worldwide – as well as her own as a Londoner. 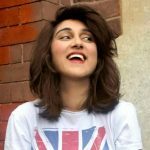 Currently a Postgraduate Student at the University of Oxford – she is further pursuing her passion for Journalism and Creative Writing. Queenie is often found photographing the streets of London; is a huge fan of leather jackets and red lipstick, frequently binge-reads the Harry Potter books and loves cuddling furry little animals. She can be found on www.thepoorlondoner.co.uk, as well as Facebook and Instagram.